Sign up and receive Property Email Alerts of Guest Houses for sale in North Ridge, Accra. Newly listed is this 24 bedroom guesthouse located in the prime area of Ridge, Accra. 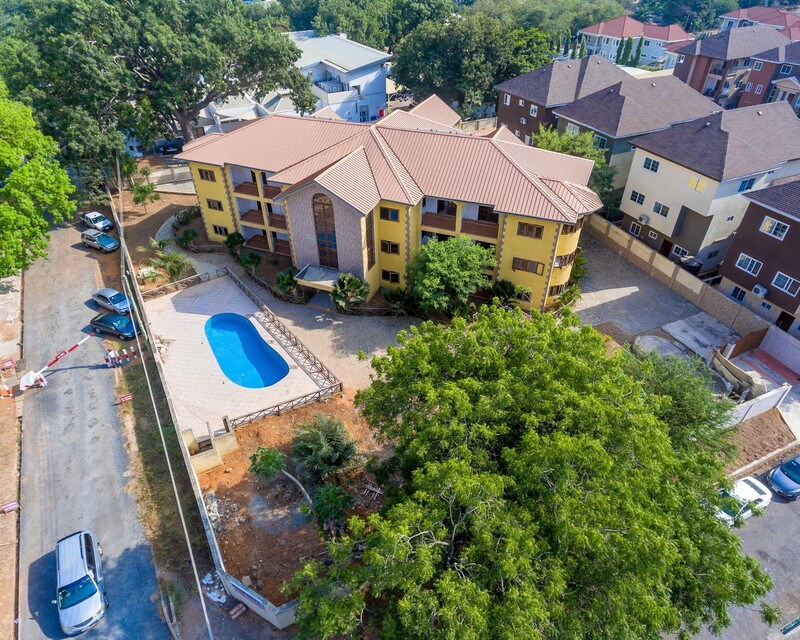 With close proximity to Accra's main business districts, the school of Journalism, government and state agencies, the property is ideally located to offer great value to its new owners. The property sits on 1.60 acres, hosting the apartment units, a car park, and lovely landscaping. Its 24 rooms present good space, well fitted kitchens and bathrooms all over a comfortable layout. Provision was made for the need for staff quarters with each also having ample sized rooms, and a fitted bathroom. Balconies for each apartment overlook the compound and the open air swimming pool and coupled with the serenity of the area makes this high convenience for its residents/patrons. Contact us on 0506960880 to schedule a viewing. Sign-up and receive Property Email Alerts of Guest Houses for sale in North Ridge, Accra.